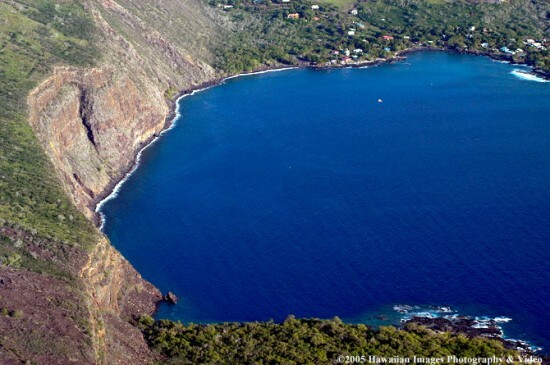 Two people were killed Wednesday morning when a small aircraft crashed into Kealakekua Bay. The pilot was identified as 38-year-old Tedd Robert Hecklin, owner of Tedd’s Flying Adventures in Kailua-Kona. The passenger was identified as Kathryn Grace Moran, 37, of Kailua-Kona. 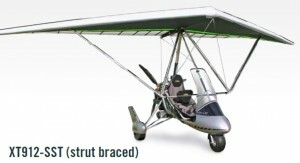 The Fire Department received a report of the crash at 9:36 a.m., 20 minutes after the Airborne Outback XT-912 SST Tundra micro-light aircraft departed from the Kona airport. Eyewitnesses on commercial boat tours in Kealakekua Bay told authorities the aircraft was banking left when they heard a loud popping sound, observed the aircraft’s wing fold up and then saw the plane fall into the ocean about one-half mile off shore. Kamalu Hawelu, a crew member aboard Captain Zodiac, said she had pointed out the light aircraft to her passengers. Hawelu said those aboard Captain Zodiac estimated the plane fell more than 300 feet and might have reached speeds of 35-45 mph. The crew called 911 and sped toward the crash site. Hawelu said she dove into the water, which was slick with gasoline and oil from the plane. Zodiac Capt. Mitch Kaufman jumped in and pulled the woman from the wreckage, Hawelu said, while she continued CPR on the pilot. “I kept my full focus on the man so he might have a chance,” she said. Several others helped administer CPR on the pilot and passenger but were unsuccessful at reviving them. The crew from a Dolphin Discovery zodiac also assisted in the rescue efforts and transporting the two victims to Napoopoo pier. Fire Department personnel then took them to Kona Community Hospital, where both were pronounced dead. The Federal Aviation Administration and National Transportation Safety Board have begun an investigation into what caused the aircraft accident. The micro-light aircraft reportedly was about one year old. Friends said Hecklin, who moved to Hawaii from Reno, Nev., had many years flying experience and was familiar with Kealakekua Bay. Capt. Zodiac owner Linda Zabolski praised her crew’s reaction. Autopsies conducted on Tedd Hecklin and Kathryn Moran have determined that both died from “multiple traumatic injuries” when the ultralight aircraft they were riding in fell into Kealakekua Bay. Big Island police have identified the passenger of a small aircraft that crashed into Kealakekua Bay as 37-year-old Kathryn Grace Moran of Kailua-Kona. click on image for manufacturer's PDF brochure. Big Island police have initiated two coroner’s inquest cases in connection with a small aircraft that crashed into Kealakekua Bay on Wednesday morning. The pilot and sole passenger were both killed in the crash. The pilot has been identified as 38-year-old Tedd Robert Hecklin, owner of Tedd’s Flying Adventures in Kailua-Kona. The female passenger has not been positively identified. Eyewitnesses on commercial boat tours in Kealakekua Bay said the aircraft was banking left when they heard a loud popping sound, observed the aircraft’s wing fold up and then saw the plane fall into the ocean. Occupants from the commercial boats trained in cardiopulmonary resuscitation attempted CPR on the pilot and passenger but were unsuccessful at reviving them. The victims were transported to the Kealakekua boat ramp. Fire Department personnel then took them to Kona Community Hospital, where both were pronounced dead. Autopsies have been ordered to determine the exact cause of both deaths. The Federal Aviation Administration and National Transportation Safety Board have been notified of the aircraft accident. On no… Tedds daughter was here visiting…does anyone know if she’s being cared for? This is sierra… His daughter… I dont know if you are going to get this, but I just saw this. It will be 5 years this Tuesday. The last 5 years have been hard but my brother and I have gotten through this together. How horrible. I just spoke with Ted a few days before the crash, wanting to book a flight with him as my wife and I are on our honeymoon in Kona. I got chills when I heard from one of the boat captains that he had crashed. Condolences to the families. Condolences, I just returned today from Kona and heard this. Planned a flight but it never happened, terrible news. Katie was a dear friend from high school, here on the mainland. She will truely truely be missed. We’ll miss her laugh, her voice, her smile. Until we meet again dear friend, you RIP.